RUNYON ALTO SAX. BEKİ RED MOD.22. 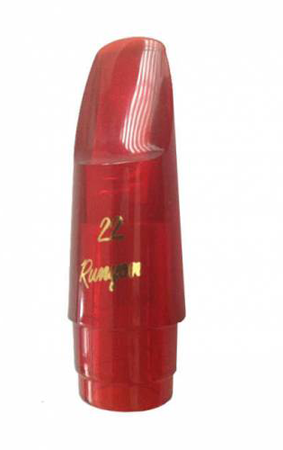 (Stokta 5 ve 6 numara bulunmaktadır) The Model 22 Alto Saxophone Mouthpiece is available in Facings #3-#6. Mouthpiece is finished in Black, Blue, Clear, and White. Includes Runyon Ligature and Cap. Amerikadan ithal. Color:Red.